Captioning creates an easy access to your videos. But do you find captioning as a hard chore when you do it yourself? I guess many yeses. But I will say No, and it’s rather simple. Let me say how it can be easy. To make your work effortless, 1000s of captioning tools are available online. It may be a free tool or a commercial tool, the choice is yours. Have you felt frustrated during watching videos of other languages that you won’t speak? Of course, I have experienced it many times while watching a foreign language movie or a series and also hardly in videos related to my subject stuff until I came to know about captioning. Amara is a popular and user-friendly tool for captioning, subtitling and translating. This tool captions any video for free. This tool automatically pauses after every four seconds allowing you to transcribe as you hear. This tool allows you to rewind the video with shortcut buttons if you have good control over the keyboard. 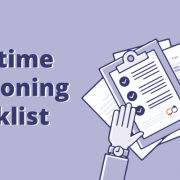 You may find it interesting to know that the tool allows pausing the video automatically after a fixed time because, for instance, you could not follow up with the audio of the file due to a minor distraction like a calling bell, or a mobile ring so it will be useful for you to relax after every fixed second. Moreover, our human brain has the tendency to lose the concentration often. Editing text across the captions in Amara seems tricky. YouTube has an option ’Transcribe and AutoSync’ to caption the videos which is of free of cost. YouTube encourages you to accomplish it with few simple steps. You have a simple interface where the steps you need to follow are clearly explained in the help bar. You can easily caption the videos directly or can even upload the transcript file to the video provided your videos need to be uploaded to YouTube. YouTube captioning is a better choice for you in case you wanna caption the videos, not for commercial purpose. You can try captioning videos for free and in a simple interface on YouTube as a part of your entertainment. Overstream is a free captioning tool. You can produce stream of captions through Overstream which is uploaded to the video file automatically, without making any changes to the original video. Overstream is a better choice when it is for YouTube videos since sometimes captioning YouTube videos may violate copyright law. A new feature is introduced to save the SRT transcript file separately in your computer or copy it in a separate storage. This new feature may help you when you need a transcript copy of the caption file for your reference or if some client needs it. Overstream is slower and it has no keyboard interface. MAGpie is an open source, closed captioning software which captions videos for free. It is an audio description authoring tool which helps hard of hearing or deaf public and who finds language as a barrier to access the software tools. With MAGpie, you can have captions in each track for the same video in different languages. You can even copy the exact time codes from one track to other if it is a word-for-word translation. If you wanna caption the video file for more than one language, then MAGpie helps you do that with the availability of multi-languages. It is difficult to proofread or spell-check the transcript once it is made into captions in MAGpie. 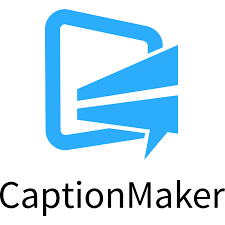 CaptionMaker is a paid captioning tool which allows you to create, edit and encode video captions for television, web and mobile devices. CaptionMaker enables an easy access to television, web and mobile viewers. Timed text speech in CaptionMaker allows you to get the results faster than the real time. So it helps to save your time. The speech engine supports multiple languages. Some captioning tools are only accessible through computers or laptops depending on their configuration. But with CaptionMaker you can access with mobile phones and also with TV. Dotsub basic is free and the advanced version of Dotsub allows a free trial. Dotsub is a browser-based, self-contained system for captioning videos in multiple languages. It is not automation and humans do transcription and translation. Dotsub works well on different platforms like web devices, mobile devices and so on. Dotsub is easy and fun to work with the user-friendly interface. The tool is designed such that, a beginner or an experienced personnel could work with it in a comfortable way. Dotsub offers an accurate and high-quality caption with time-coding at a cost less than you imagine. Are you new to the field of captioning? Doesn’t know even the basics of captioning? No worries. This is the right tool for you to choose. It has a very simple interface and you can do it without others hand. With DotSUB, you can caption videos only less than 25 minutes and the subtitling page stays saved. 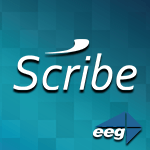 Scribe Pro is a commercial tool for captioning as well as transcribing. It is a professional toolkit which is used for generating automatic transcription, editing, aligning and checking caption files and also embeds captions to files. This tool supports all caption files and video formats. Exports files at a faster rate and accuracy in editing captions. For instance, you have a pdf document of the caption file. After trying with much captioning software you were disappointed with the file format of yours doesn’t match with the software. Whether it’s like all the doors are closed? Here we are. Scribe Pro supports all file formats to make you comfortable and simplify your process. Scribe Pro lacks the ability to play files quickly. This tool is a paid tool used for creating audio and video recordings and in addition, creates captioning using a speech-to-text feature. Camstasia has an in-built ‘caption editor’ option to automatically caption your videos. You can also export audio files to a third party service for captioning the videos and again you can import the files. When editing there is usually a lag and the video looks terrible when we review it after captioning. Captionate is a paid tool but at a low cost. The native format of Captionate is Flash video player (FLV). You can also use the demo version which is for 10 days to make your decision. You can have multi languages track in a single caption. You can easily track the display name, language code, type and target wpm (words per minute) of each language track. As the name says its ‘free’. 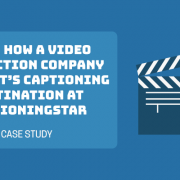 The CaptioningStar provides captions to your videos automatically when you provide with an audio or video transcript. 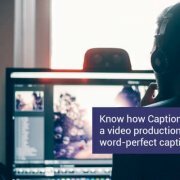 In minutes, the CaptioningStar provides accurate and well-timed captions in a variety of file formats for all types of videos. The workflow remains super secured and ensures you that your information is safe and confidential. 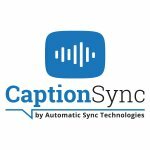 This captioning tool makes sure that the spoken words are captured and provide 99% accuracy. 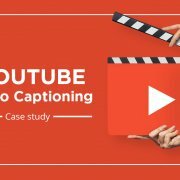 Captioning your videos not only make people view you more. Captioning also conveys your information to the hard of hearing or deaf people by viewing the text. Do you know? People from different regions could access the other language videos through captions. Captions broke the barriers for language. I am sure that you can caption the videos yourself now after visiting this blog. 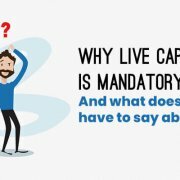 These Captioning tools make your job super easy and a free tool adds advantage to it. So search for captioning tools which benefit you and hope this blog gives you some idea for it. Know the top stories, tech articles and industry know-how straight to your inbox. We promise to never spam you. Honest to goodness, we are nice people to work with.We roll with the punches and work according to your needs.Contact us today and kick start your captioning process.